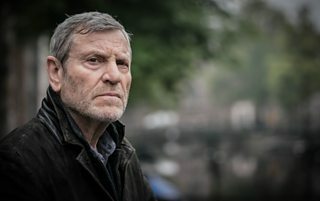 Writers and Executive Producers Harry and Jack Williams explain the inspiration behind BBC One's new crime thriller Baptiste, which brings back The Missing's Julien Baptiste (played by Tchéky Karyo) in a new story set in Amsterdam. Talk us through the journey of Julien Baptiste from The Missing through to Baptiste? Harry: When we wrote the first The Missing, the series was born out of the character of Julien Baptiste. The Missing was about loss, tragedy and missing children exclusively, so doing Baptiste was us going back to what we wanted to write about in the first place - which was this character. We wanted to write about a case that went beyond the world of The Missing and that didn’t necessarily have the dual time frame device, which can be prohibitive. Jack: Writing The Missing was brilliant and we love the show, but this has a different energy and way of telling the story, although it has a lot in common tonally and the world sometimes feels similar. And of course we have the wonderful Baptiste in the middle of it, who is an oasis of calm and integrity in a sea of vice. We loved working with him on both series of The Missing and always wanted to write a show that foregrounds him. What does Tchéky bring to the character of Baptiste? Harry: There’s a brilliant way that Tchéky works when he’s being Julien, as they’re actually very different people. There’s a way that he talks, an assuredness and a calmness to him. You can have the darkest, weirdest, strangest things going on around him and he is such a reassuring presence. He’s a brilliant, compelling and still performer that we just love writing for, it’s an absolute joy. Jack: We’ve been working with Tchéky for so long now that it’s started to shape the character. The character has evolved with the actor. It makes our jobs easier as you write the lines knowing how he’s going to inhabit it and bring it to life. What was the inspiration behind Baptiste? Jack: We were trying to find a case worthy of Julien Baptiste, that was knotty and complicated but still had an emotional centre that made it interesting and compelling nonetheless. We decided to set it in Amsterdam, as we knew that the location would perfectly reflect what the series is about: which is the question of what’s behind the curtain, what’s under the surface. How something looks is deceiving. What’s great about the show is that the way the case begins is nothing like where we end up. Harry: The narrative is full of twists, turns and surprises, much like Amsterdam itself. It’s an intriguing setting for the series to take place - it’s unusual, complex and layered. 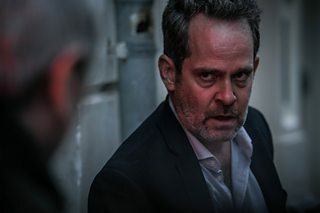 Could you tell us about the character of Edward and how Tom Hollander brings him to life? Harry: Tom Hollander is a fantastic actor, his performance is mind blowing. It’s a tricky role on paper as you’re trying to figure out who he is. He’s not sure of himself, he’s not an alpha male, he’s a beta male, and he’s lost in this place that loses people easily and he’s trying to find himself. Trying to get all that into one performance is a really tricky thing but he’s nailed it, which is a joy to watch. Could you talk about Baptiste’s relationship with Edward? Jack: Baptiste meets Edward early on in the show. Julien is given the case by an old girlfriend, Martha, who is now the Chief of Police in Amsterdam. From the off Julien is trying to work Edward out. Edward is a man who is at the very limit with what he can deal with emotionally - he’s at the end of his tether. He’s desperate and needs someone and Julien is there for him. It’s not an easy relationship though, Edward wants to be involved in this case every step of the way. There’s a great deal of tension and falling out and getting to know each other. The two of them are such a contrast, Julien being the still, calm, thoughtful character and Edward the opposite, the kind of person who doesn’t have time to stop and think - he needs to get out and get things done. That conflict is exciting to watch throughout the series. Who is Genevieve and what does Jessica Raine bring to her character? 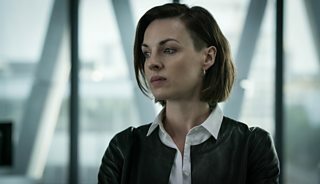 Harry: Jessica Raine appears in episode three in an important role going forward for Baptiste. She is as we’ve never seen her before, with a very different look and gives an amazing performance as a complicated Europol officer. You’re trying to lean in and figure out what’s going on with her, and what in her backstory might explain her behavior. Jack: Genevieve is a very tough and brittle character, and those are difficult to play as they can push people away. You need someone who can show you what’s going on underneath and where this determination and brittleness is coming from, and Jessica does it brilliantly. What is Genevieve’s relationship like with Baptiste? Harry: Baptiste and Genevieve don’t have the easiest relationship - she’s a much harder, colder person than he is. Or so it seems at first. She questions Julien’s presence and what he’s doing there as he doesn’t work for the Dutch police. He’s an obstruction to her getting what she wants. They’re both good at what they do but they do things differently. Talk us through the locations. 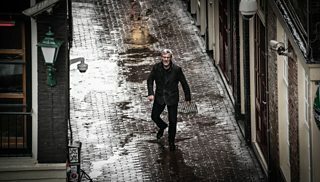 Jack: The series is set in Amsterdam. We shot quite a large amount in northern Belgium which has a lot in common with the Netherlands and parts of it look very similar. There’s also a small amount shot in the UK. In terms of what’s on screen, the whole thing plays out in Amsterdam or just around it, it’s very contained. Amsterdam is a complicated city and is known for the red light distract. It seems very benign and there’s a pretence that everything is fine, but you peel back the layers and not everything is as simple as it seems, which is very important for the show - you need to watch behind the surface of every character and location. In that respect, Amsterdam is the perfect metaphor for the show. What three words would you use to describe Baptiste? Why should people tune in to watch Baptiste? Jack: People should watch Baptiste because although it has all the elements of a detective show, it goes beyond that very quickly. It’s a twisting surprising thriller with a big emotional centre that isn’t afraid to tackle big themes, and in the centre of it all we have Julien Baptiste up against the biggest challenge of his storied career. The relationship between Tcheky and Tom is phenomenal and the acting across the board is a joy to watch.